Since its opening in 2003, the D4 Business Village Lucerne has successfully contributed to the economic development of the Lucerne Rontal, the Future Valley Lucerne. At this important location, where more than 100 companies have meanwhile settled, you will find a large amount of space in the Conference Center in order to successfully realize your own business events. The sustainable business venue offers the perfect setting for all event formats with small or large numbers of guests. 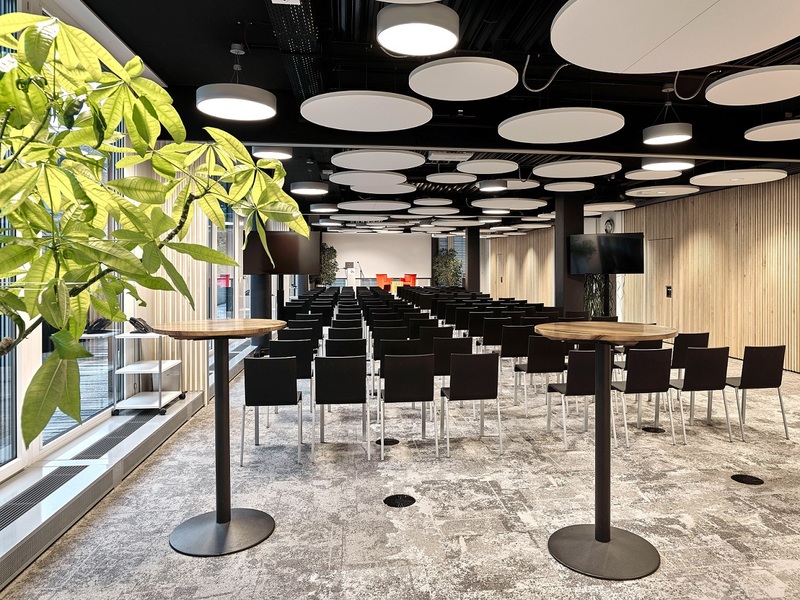 Be it a private meeting, a conference with up to 170 guests or a large-scale event combining several rooms, here you will find tailor-made room solutions for your project. The largest event space is the EVENTROUM, which accommodates up to 170 people in theater style seating over 200 m². Of course, the seating variant is realized individually to your project and the number of people. The standard equipment incl. Flipchart, whiteboard and video projector as well as modern audio / video technology incl. Double projectors can be added as an option. For meals, the two public restaurants in the D4 with a variety of menu choices and catering services are available. Whether it's a coffee break or an exclusive business lunch, here everyone gets their money's worth.